Your outdoor shelter is perhaps the most important equipment which you need to take into account for this tutorial. While you may already have a tent which you usually use when you go outdoor, using a 4-season tent is highly advisable since this type of shelter are excellent for winters and for other seasons as well. 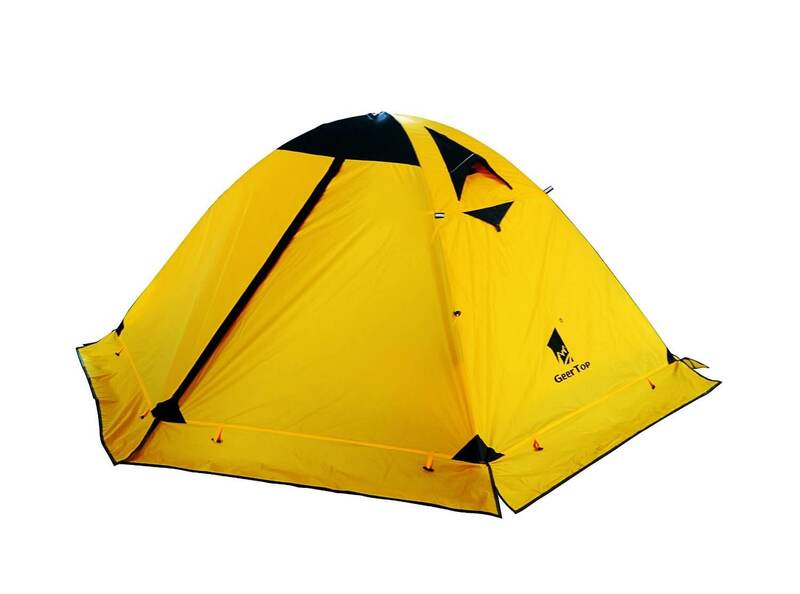 They tend to be versatile tents too since they can withstand terrible weathers. 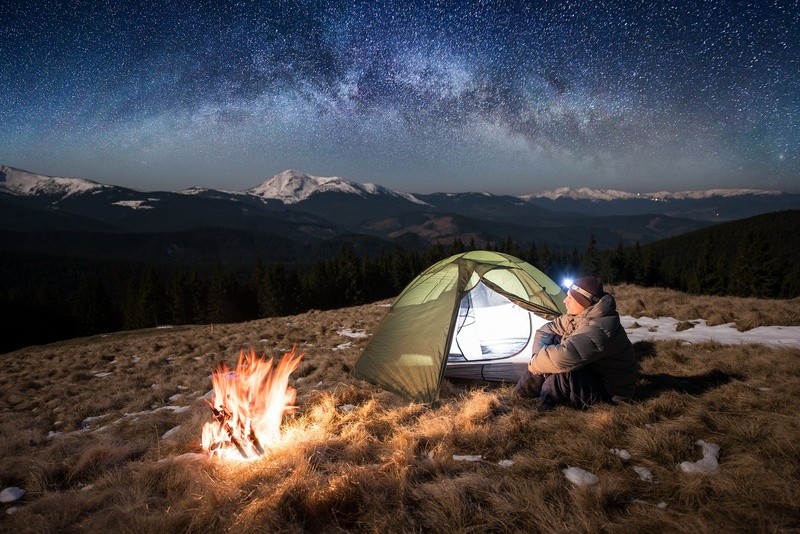 As a woman who goes camping, hiking, and backpacking regularly, I find purchasing a 4-season tent helpful as it eliminates the need to have a particular tent that is appropriate for every other weather. Also, it is important to find a tent that has heavy fabrics because they tend to work best for cold weathers. These shelters have the ability to shield and protect any sleeper from cold winds. 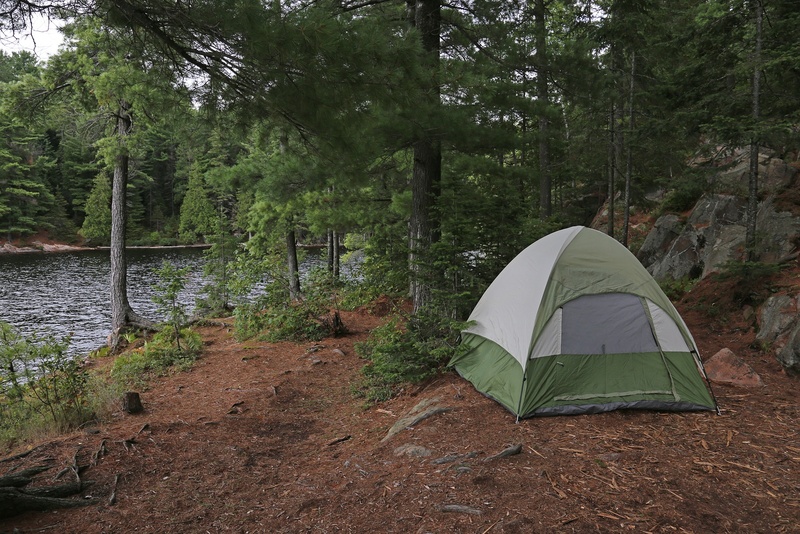 Your tent should also have a base that is warm, thick, and strong. The tent you will use need not be expensive. 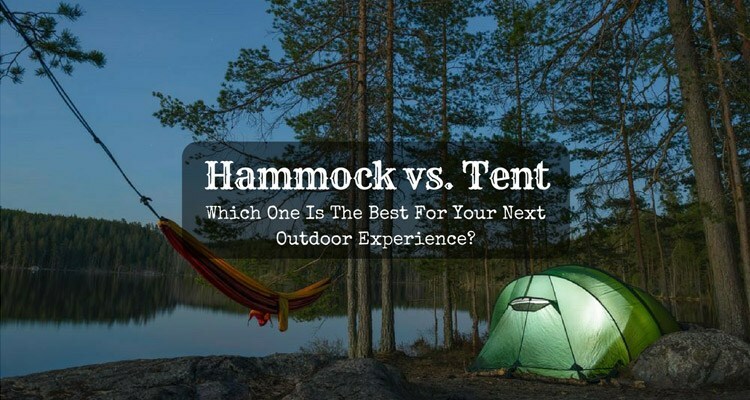 In fact, it is possible to have the best backpacking tent under $100 since many tent manufacturers now come up with quality yet affordable shelters. You only to select which one suits your needs. These materials pertain to the pieces of equipment that will add or enhance warmth during cold seasons. 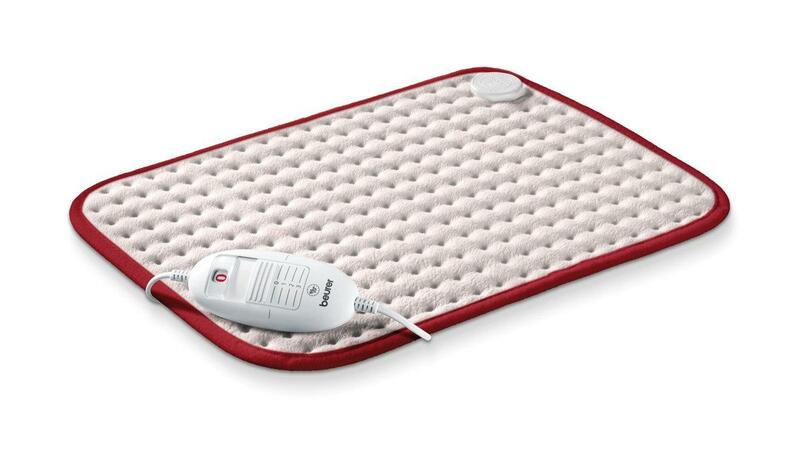 I recommend the use of sleeping heating pad instead of air mattress since sleeping pads can provide more insulation. Some colleagues of mine prefer putting sleeping pads on top of air mattress which can offer warmth and comfort as well. It also helps to have a portable heater for supplemental or occasional heating. Look for one that is quick-to-install. This insulated covering is another item which you should not forget whenever you go in the wild for your adventure. Make sure that you bring one that is lightweight since you may already be carrying other pieces of outdoor equipment with you. These materials usually also have covers that are water-repellent or water-resistant to serve as a protection from light precipitation and wind chill. While this product may be new to you, I find it one of the best means to lessen the cold temperature because it reflects the warmth back to where you are lying. 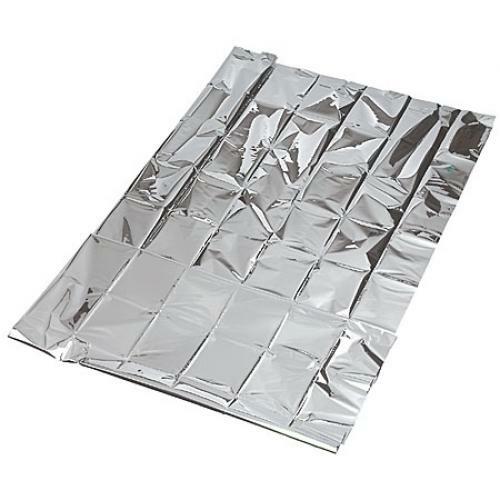 All you need to do is use a duct tape to place the blanket on your tent's ceiling, and this reflective sheet will start attracting all the heat coming from your tent and bounce it back to your bed. This item is a must-have during cold seasons. Have one and find out how it works fantastically. The spot where you will be spending your outdoor adventure can make or break your experience. Over the years of hiking, camping, and backpacking, I can say that the coziest sites are those places where there are abundant surrounding trees. This fact is because trees prevent the wind from reaching you. If in case the area is naturally not surrounded by trees, at least find a spot that is not in the wind's direction. 50 ft above the valley floor is a good start. Find a spot that is not filled with snow. At times, a rough and tough wind is inevitable. When this thing happens, you can keep yourself warm by insulating the ventilation holes. You can also use small towels to strap the holes and keep out the cold wind. Campfires do not just provide warmth, but they also give light at night. You make one as soon as the sun starts going down and while you are outside your tent. Some hikers and backpackers avoid doing this tip because it seems to be a very dangerous measure. However, it is one of the best ways to enjoy any tent outdoor activity at its finest especially when you are with a group of other hikers and backpackers. Still, you need to do it with utmost care. If you are inside the tent, make sure that there is someone outside to watch your tent over. It is necessary to keep your campfire near your tent to warm it up, but it should not be too close that it might cause your tent to burn. 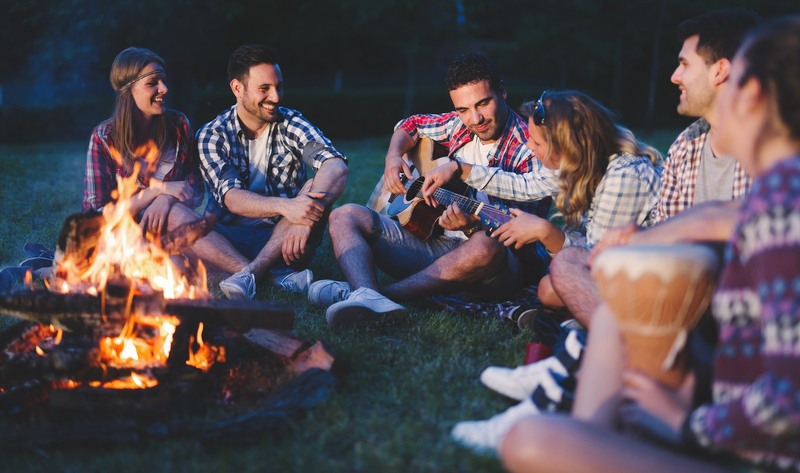 There are also certain spots where campfires are not allowed, so you might as well campfire bans in the spots where you plan to setup your tent. Alternatively, if the idea of making a fire makes you feel unsafe, you can cook over a camp stove to add to the warmth. 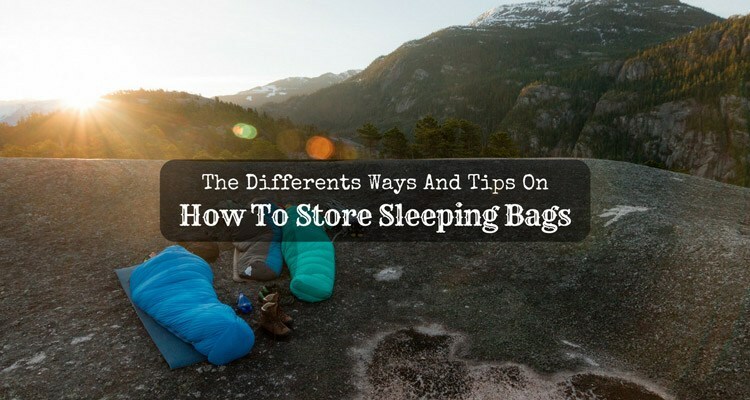 Some also use hand warmers inside their sleeping bag while others prefer bringing a water filter instead of boiling water. A standard animal leather jacket is often an excellent garment to wear; however, there are instances when a standard jacket is not enough, so you may consider adding extra layers of clothing that have good insulation to make sure that the cold wind does not reach your body. You can surely take one layer off once you feel warm. More layers provide more heat to help you stay warm. If you are a regular camper, hiker, or backpacker, exercise will not only benefit your health completely. It will also a great way to warm your body up gradually. Doing some exercises and moving your body a little gets your blood flowing. This tip is safe to do because a brief hike will not exhaust you too much, but it is enough to cause the blood to start flowing to the vital parts of your body. 3-5 jumping jacks can cause your body temperature to rise. What I normally do is 20 jumping jacks which I find suffice to keep my blood flowing quicker. You may have your favorite exercise, such as stretching and push-ups which work well too. You only need to find the type of movement you find comfortable of doing. Occasionally, you may find yourself breaking a sweat, and you need to wipe it as soon as possible when it occurs because if the cold wind dries your sweat, it might cause the wind to have a much colder feel on your skin. Always bring a towel with you to keep you wipe your sweat and keep you warm. 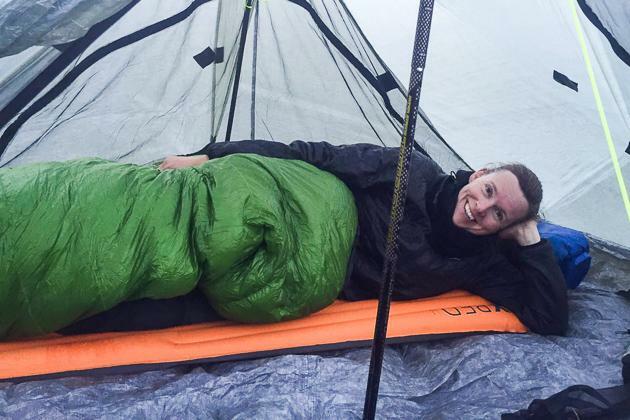 There are instances when rain coincides with cold weather and snow which can cause your sleeping bag to have some moisture. High levels of air moisture can exacerbate this problem, and the best way to prevent this thing from happening is by rolling up your sleeping bag when you do not use it and store in a cover that is waterproof. ​​​​​​Poncho vs. Rain Jacket: Which One is More Useful in the Rain? Adequate heat is often essential to keep you warm; however, it is also crucial to emphasize the risk of overheating and lack of oxygen which you can avoid by not covering your entire face and by not fully zipping up your bag. These two actions are tempting when your tent is completely insulated and you are inside your warm sleeping bag. Overheating can make you be tempted to remove your clothing which can pose a risk of having a cold. Lack of oxygen can make you make claustrophobic and gasping for air when you wake up. 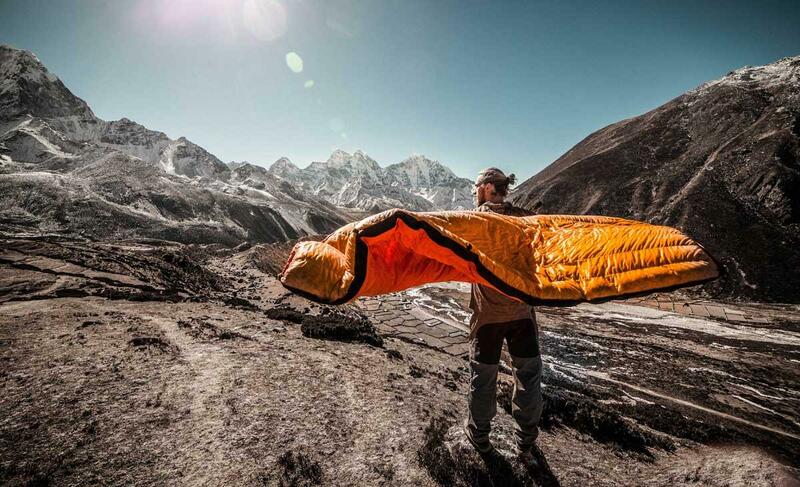 Sometimes, you may not be even aware that you are suffocating inside your sleeping bag, so it is highly advisable to keep your self above your sleeping bag to receive enough oxygen and prevent overheating. Many people suffer from poor blood circulation which is attributed to a variety of factors; however, our hands and feet are usually the body parts which take the longest to become warm when we experience freezing. I have also encountered some campers who can not sleep unless their feet are warm. Fortunately, there is a remedy to this problem. If you are this type of person, you can sleep with your feet in a half bag. This trick will both keep them together while speeding up the warmth. Alternatively, you can purchase hand warmers and put them inside your sleeping bag. 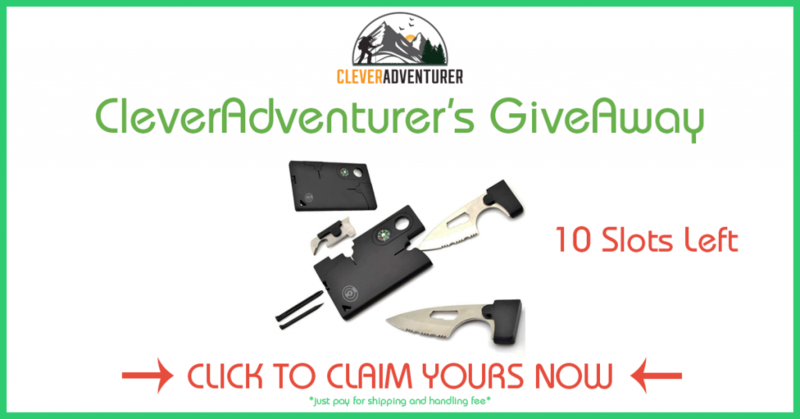 Many types of these products are available in hiking and outdoor shops. 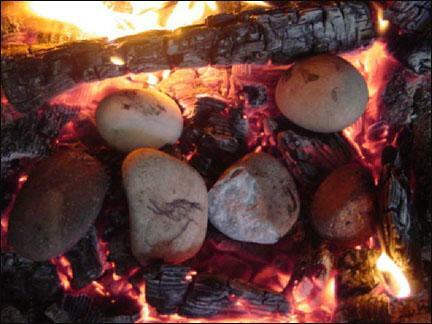 Rocks can be your temporary heaters when you go outdoor and feel extremely cold. This idea is what I have learned from my fellow hiker who says advise me that heating up a 15- to 20-pound rock can sufficiently provide warmth for several hours. It is also a convenient thing to do because rocks are everywhere even when your campsite is full of snow. You can do this trick by letting the rock cool after you heat it and wrap it in a thick towel. Then, place it under your blanket's foot, and you have got an instant rock heater to keep you warm for the entire night. Surviving in the cold does not only mean keeping yourself warm outside. When venturing in the wild that is snowy, it is often essential to maintain a high metabolism all throughout your stay. A calorie is a unit of heat, and consuming an enough amount of it can add to the warmth that you feel. I recommend eating a big dinner that is full of carbs and protein. Most meats digest slowly, making it a perfect choice to keep you warm. Important: When in the wild, there are possibilities of food attacks, so it is extremely important to keep your food safe. I suggest that you place your food away from your tent. You can store every bit of your meal in an air container that is tight enough, and place it somewhere far from your tent. Thriving during cold temperatures require constant observation of your hydration. The human body a high amount of electrolytes that will keep us warm during winter; hence, hydration is crucial to your survival. Meanwhile, too much water can lead to frequent urination at night which makes it a huge hassle. Do not intake too much fluid at night to avoid going out of your tent every time. While reducing your fluid intake also eliminate the need to go out of your tent to relieve yourself. Peeing is, at times, inevitable and you may experience a sudden call of nature. When this thing happens, I recommend using a bottle. Some may not comfortable doing this tip, but I find it an effective way to avoid the inconvenience of going outside and maintain the warmth of your body. Snow and water that fill your tent during snowy seasons do not only add weight to your tent, but they also give it an automatic cool temperature to your shelter and to your other materials. Before bedtime, make sure that you shake these things off your tent to also prevent the risk of tearing your tent and avoid snow from dripping on your body while you are inside your tent. 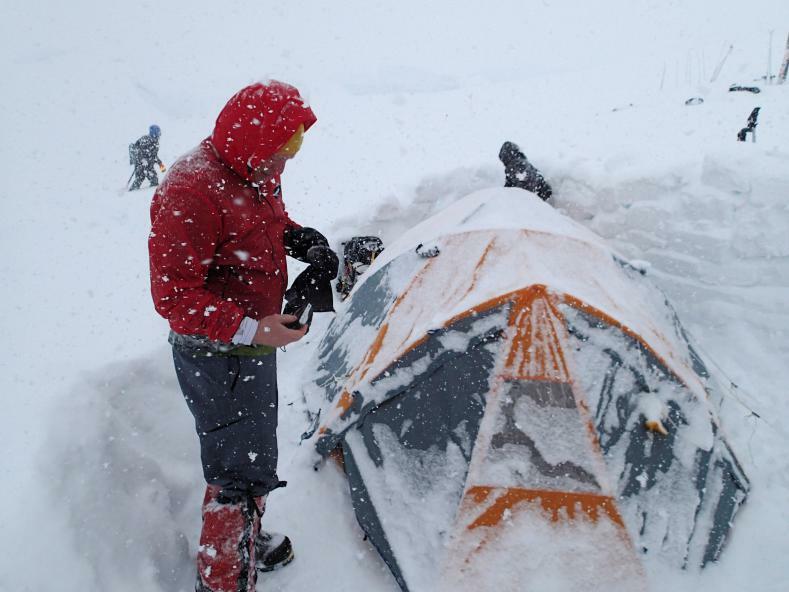 Always check for some snows that accumulate beneath your tent before sleeping. These frozen things may give you uncomfortable bumps everywhere once they melt and refreeze. This problem is a common issue during snowy seasons too. If the place where you have decided to lay is merely a simple mud, it is important to make ensure that it is naturally dry. It must also be debris-free. 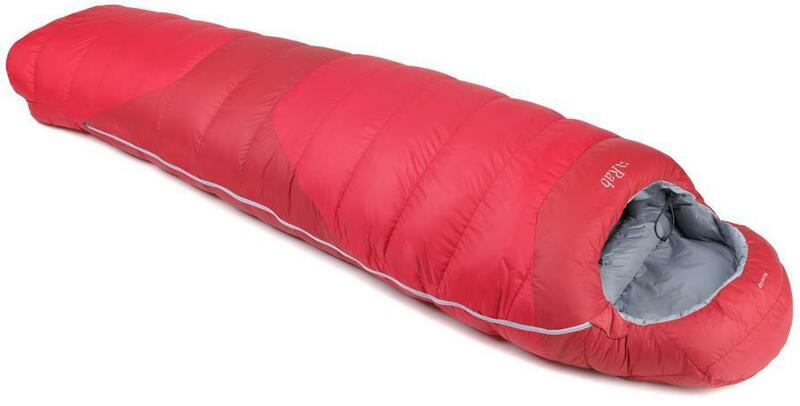 It also helps to use an insulating pad as this equipment provide extra layering when sleeping in a colder spot, keeping your body cozy and warm. Exploring the wild makes your materials get wet quickly. Constant snowing makes it difficult for your socks or gloves to remain dry and even those that are just slightly damp can eliminate a lot of heat through your feet or hands. Hence, it is advisable to make all the efforts to stay warm by securing extra pairs of these materials when going for an outdoor trip. Going outdoor with a good companion does not only add warmth but also give more excitement and satisfaction to your adventure. Being with someone whom you can talk to can also distract you from the coolness of the freezing weather. While there are a lot of heating materials that you can purchase, having a good friend or lover to accompany you during the winter season will surely make your adventure more warm and meaningful. At times, you may want to have some alone time which is a healthy way to reconnect with yourself, but make sure that you get yourself also the best solo tent that can fight any cold elements. 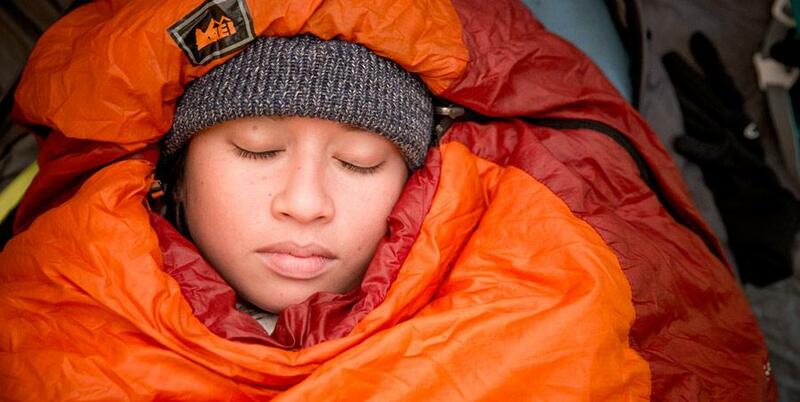 Did you enjoy learning some tips on how to stay warm in a tent? 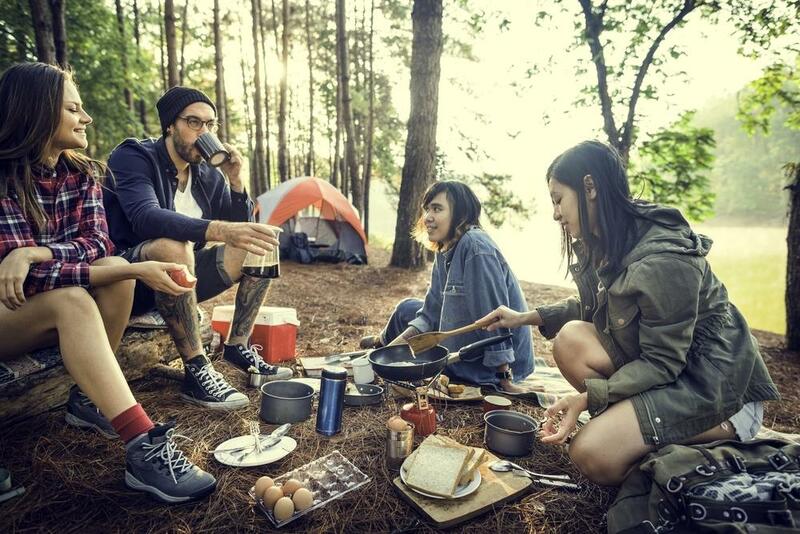 While cold weather and winter season are both inevitable outdoor situations, these instances should never be reasons for you not to experience the wonderful things that camping, hiking, and backpacking can offer. 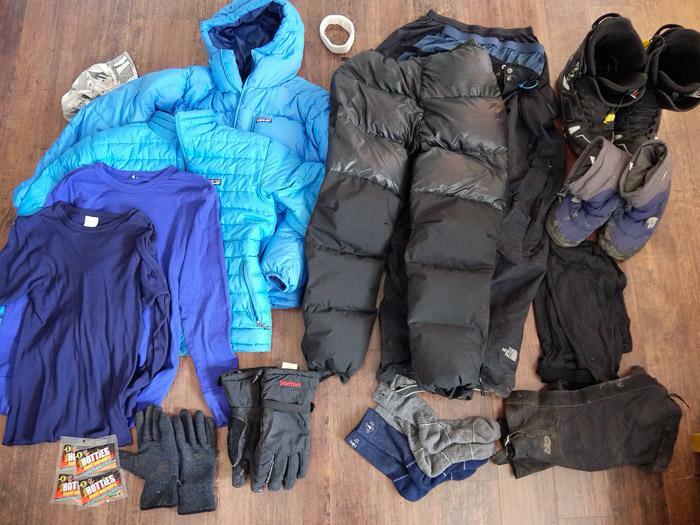 If you are a hiker like me who often stay in the wild for several days, these issues are just some of the common weather problems that you may have to face. 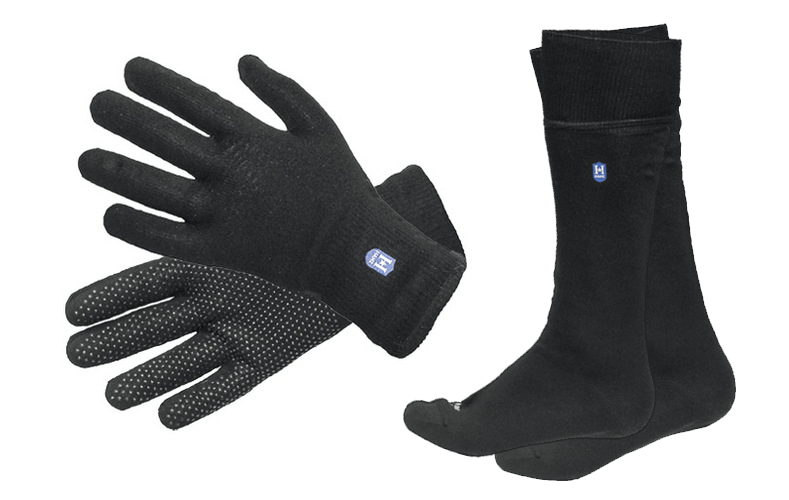 Worry no more as you are now equipped with the solutions for every cold weather condition or winter season. If you find this article useful, please feel free to write your insights below. You may also share this writing peace with your fellow outdoor goers and friends. 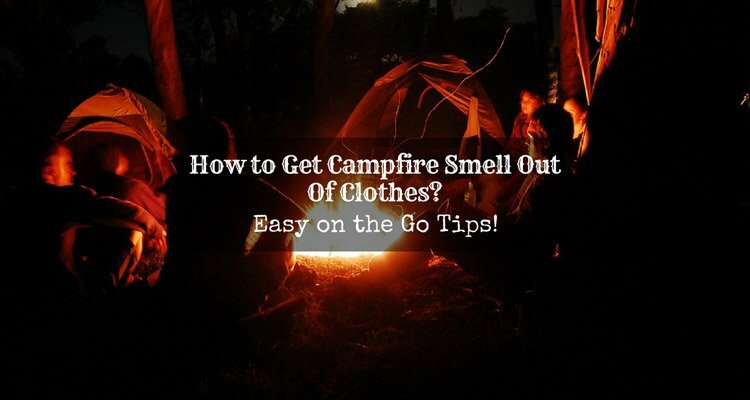 How to Get Campfire Smell Out Of Clothes? Easy on the Go Tips!